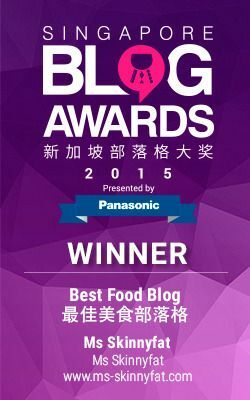 When i drop all my writing to start on a food review, you know this must be something to look forward to! 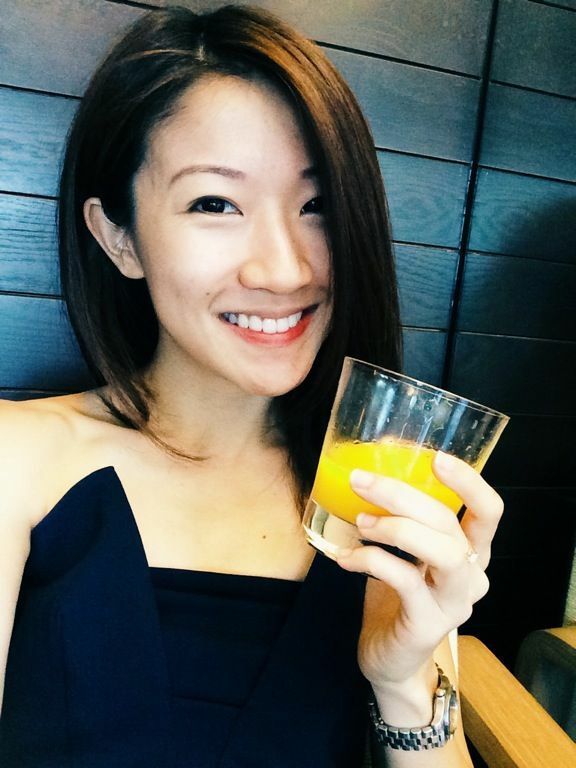 Presenting Audace, my latest favorite fine French Bistro! 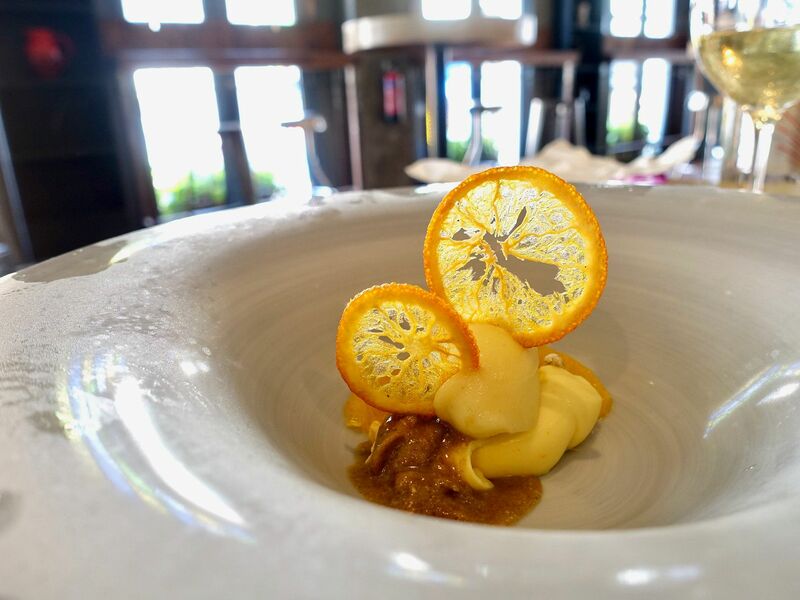 This one month old restaurant at Wanderlust Hotel Singapore is helmed by Michelin Star awarded Chef Jérémy Gillon (previously from Le Montana in the French Alps) and serves a contemporary fine French Bistro menu which is lighter and fresher. p.s. 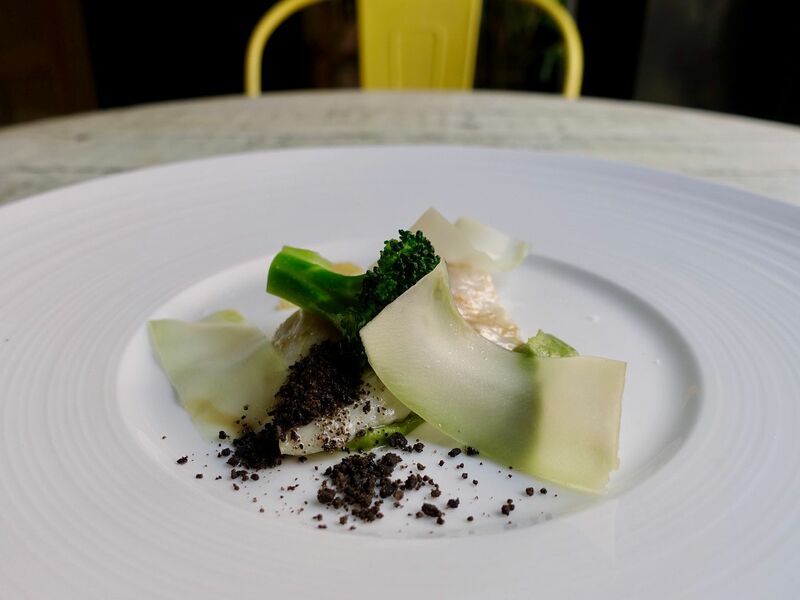 I see a trend with the other restaurants under the Unlisted Collection- a focus on 'bistronomy' (bistro fare with a contemporary touch) and spotlighting vegetables (different textures and flavors), generally food that is more approachable. Well i think this formula is working for 2016/17. Many of Chef Jérémy’s dishes are created daily with produce hand-selected from nearby Tekka Market. 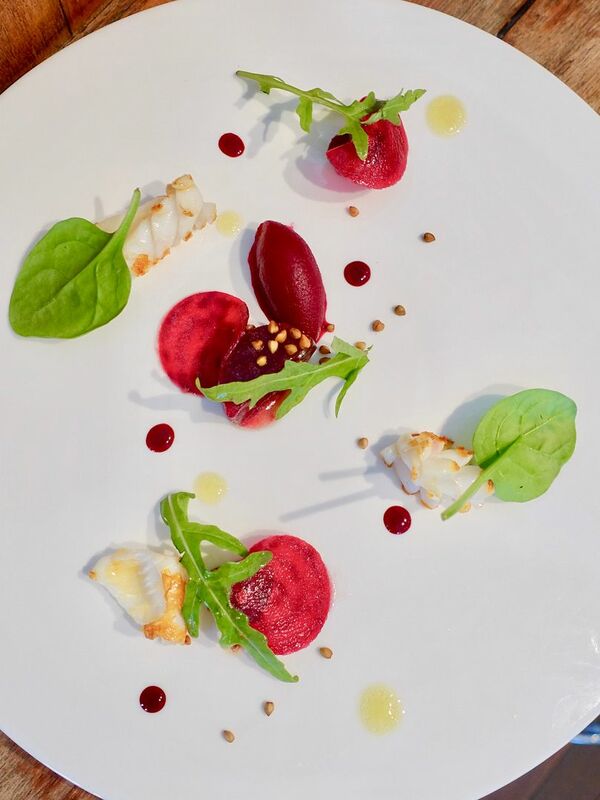 In addition to this, Chef Jérémy also sources his own herbs from the alps to make infused syrups, vinegars, cocktails, coffees and teas for his menus. As the restaurant is still very new, they are still deciding on whether to have a separate menu for lunch and dinner but right now it's the same menu. 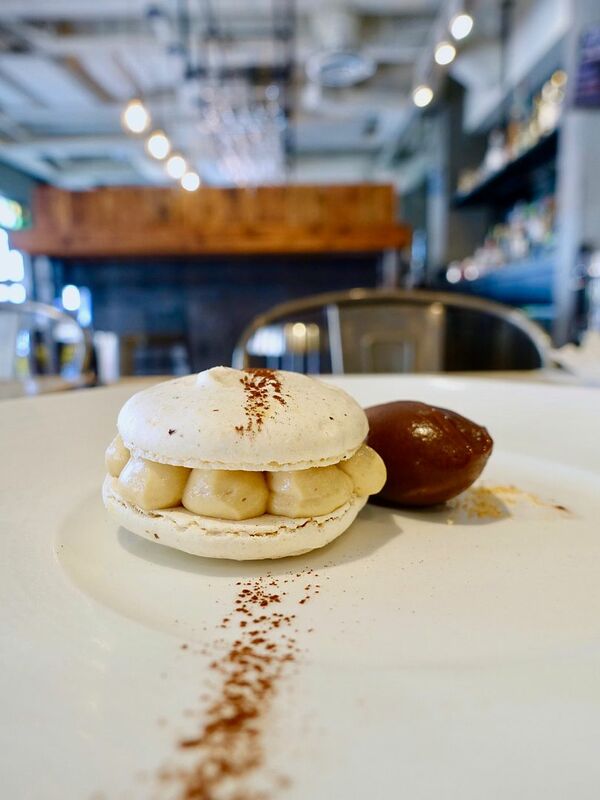 Pick from the a la carte items, or go for their discovery course (4 course $68, 6 course $98) which will allow you to sample a variety from the main menu. Signatures will change with the season. 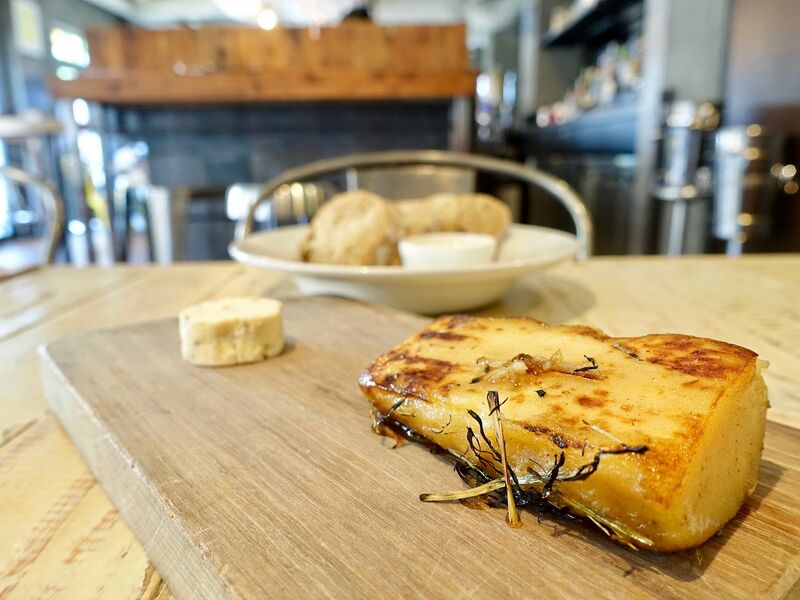 From the bar menu, we tried the Parsnip Confit cooked in Brown Butter Hay. Presented in a smoking cocotte, the smokiness of the hay gives this root vegetable a meaty taste (like luncheon meat). A syrup infused with an Alpine herb (Asperule Odorante) adds a refreshing scent to the dish. We also tasted a hint of mango! You can easily spread the parsnip over the crusty warm bread but make sure you spread that hazelnut butter that is hand churned and mixed with crushed hazelnuts for an added smoothness to each bite. 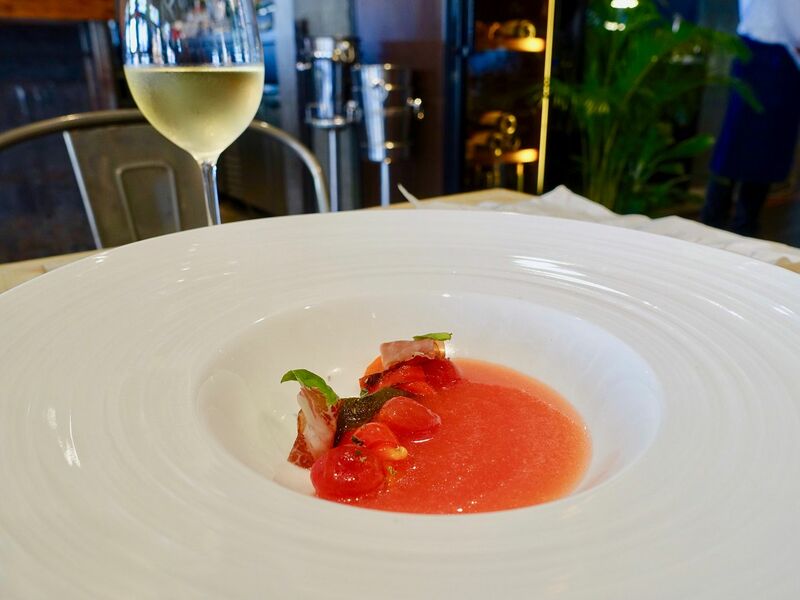 Another dish that got our appetite going was the Fresh Tomato Juice. The cold blend of juice was very refreshing and was accompanied by the smoky bell pepper confit and Coppa ham. The Beetroot Salad ($11) was one of our favorites. Different flavors were brought out with the different preparation of the crimson root and the sorbet was particularly lifting with its acidity. The squid, though not the highlight of the dish, was spectacular. Now can we have a whole piece of it? While the Steamed Mediterranean Sea Bream ($26) with broccolis may sound and look plain, it was my favorite main dish. 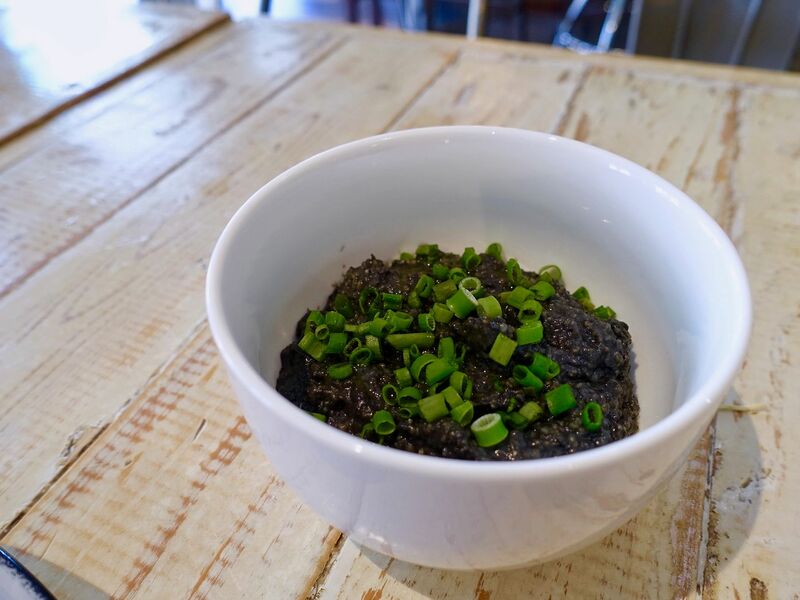 The savory fatty fish was simply prepared and garnished with a salted lemon paste and a sweet black olive powder, allowing the rich flavors of the sea to come through. 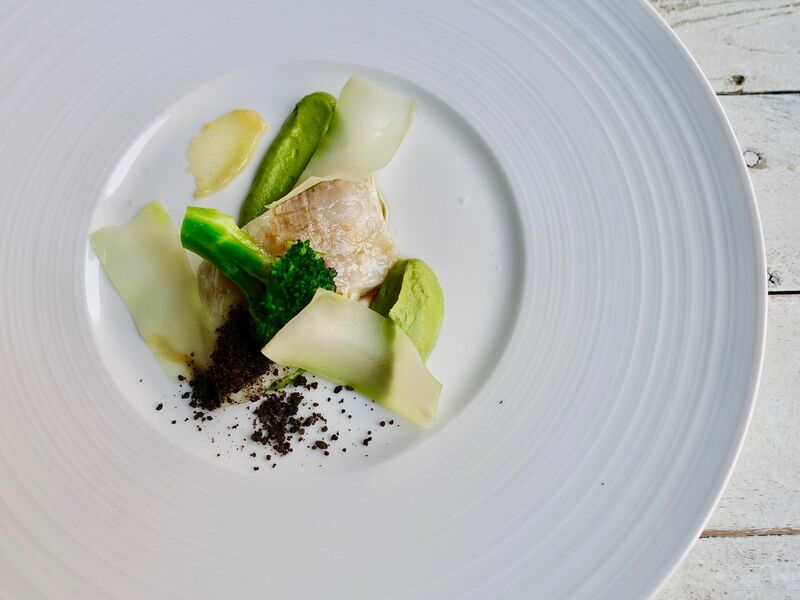 The different textures of broccoli complements the fish with a rich creamy purée, a savory buttered blanched floret, and crunchy shaved broccoli stems. For something more savory, the Striploin Beef ($29) is a classic. 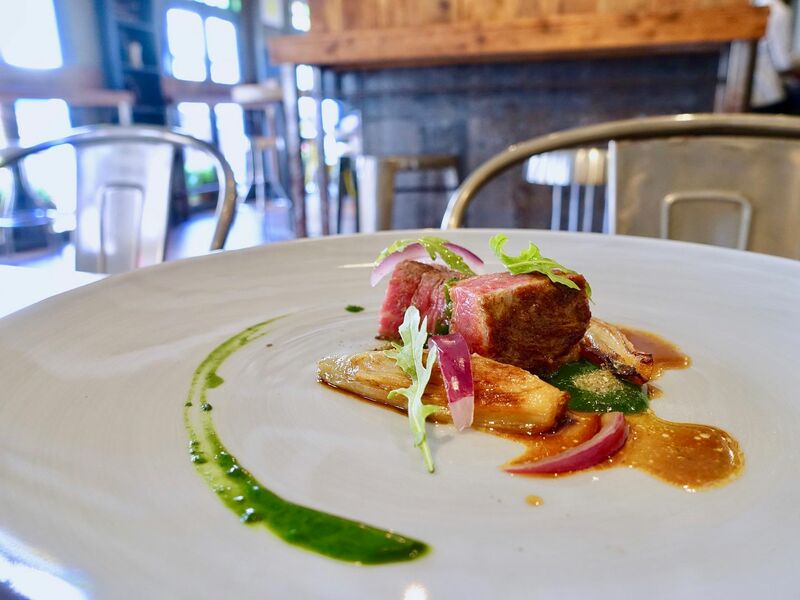 We enjoyed the meaty flavors in the striploin, which goes well with the caramelized banana shallot papillote, Tarragon coulis, dry capers and anchovy. Pick this if you like punchy flavors. Mains are served with a side of polenta. Chef decided to make a black polenta when we dined in. What i really wanna try next time i'm back is the Pork Beetroots dish. Marinated for 48 hours in a beetroot marinade, this melt-in-your-mouth pork belly is slow cooked before being caramelised further in a beetroot glaze. The entire belly is theatrically presented via trolley service and hand carved table-side. English char siew anyone? For desserts, a bittersweet Calamansi Sorbet ($10) with the smoothest orange cream, and a pumpkin seed praline (which is like the peanut sugar paste in the Chinese pancakes), and berce candy. A signature on the Audace menu, and rightfully so, the Macaron, Black Colombian ($11) is gorgeous. Each bite is like sinking your teeth into a dense cloud filled with a smooth Speculoos cream, with a surprising coffee jelly center. The cocoa sorbet was intense but not sweet like the typical chocolate. On the whole, this is less sweet than the calamansi sorbet. LOVE IT. Do yourself a favor and go try the food at Audace. Jr told me to quickly write about this so that he can share it with his friends. Haha.